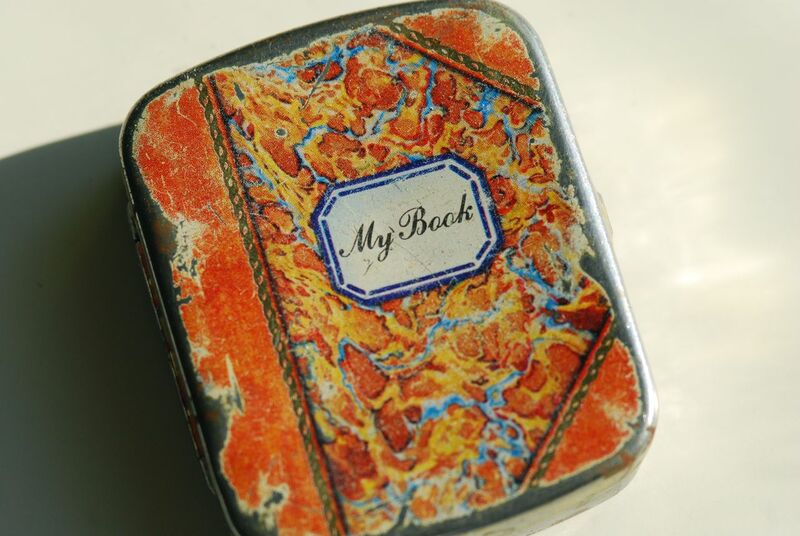 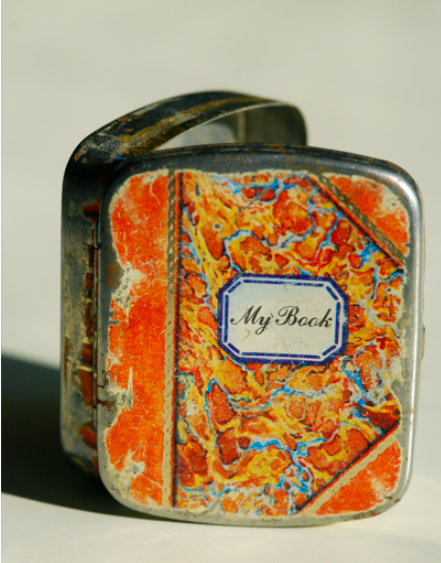 This little tin treasure with faux leather, gold stamping and marbled paper cover measures about 2"wide x 2.25" tall and I presume it was once a candy container. I cannot even recall where I found it, but one of these days I'm going to tuck a tiny little copy of my portfolio inside of it. Will work small for a really big price!